A pork slaughterhouse business that has been a long time Aries customer had experienced a significant business increase. 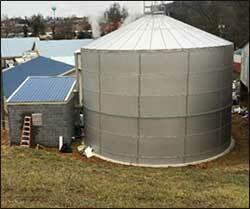 The increased production resulted in the need to upgrade the plant’s wastewater treatment system. Aries was asked to engineer and provide upgraded wastewater equipment. Aries had supplied chemicals to the customer since 1995, designed, built and supplied a DAF in 2005 and designed and supplied an activated sludge system in 2010. Aries Engineering and Equipment Group was able to fabricate and provide the upgraded equipment in a configuration that enabled installation in the limited area provided without any unscheduled production downtime. A Primary Effluent Screen Upgrade with an internally fed wedge wire screen. 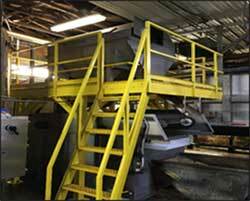 The Screen was mounted on an elevated platform that was designed and fabricated to reduce the footprint of the system. An Aries designed and fabricated a fats, oil, and grease (F.O.G.) 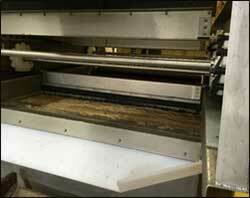 separator with a heavy duty surface skimmer. The separator was installed under the screen and provides efficient removal of free fats, oils, and greases while minimizing operator time and efforts required. Aries designed and fabricated a new high capacity stainless primary DAF with heavy duty sludge removal flights. The DAF is equipped with serpentine floc header to fit within the limited area available. Aries provided a 150,000 gals Stainless Steel Equalization Tank with jet mixing and aeration that greatly improved the ability to control flows and loadings going to the existing biological treatment system. Aries provided and upgrade to the fine air diffusers in the suspended growth secondary treatment system along with additional blower capacity. 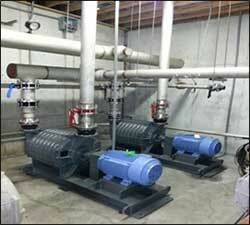 The system PLC controls were upgraded to provide optimum aeration system performance while minimizing energy costs. The upgrade installations required no loss of production and has allowed this slaughterhouse to almost double their production while maintaining wastewater compliance with no violations. The upgraded system currently processes 80,000 gpd with an 8,000 mg/L raw BOD concentration. 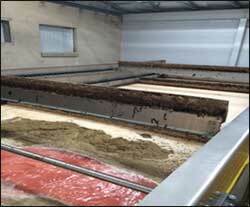 The treated effluent has less than 100 mg/L BOD concentration. For further wastewater product and technical assistance information, contact your Aries Chemical Representative or the main office at (315) 346-1489. Also view a printable version of this Solutions To Increase Production Case Study.